Lying at the edge of the hillside of Fira, Anteliz Suites features an outdoor swimming pool with an open-air hydromassage tub. Its air-conditioned rooms feature a free plasma TV and free Wi-Fi access. Breakfast is served daily at the sun terrace by the pool. 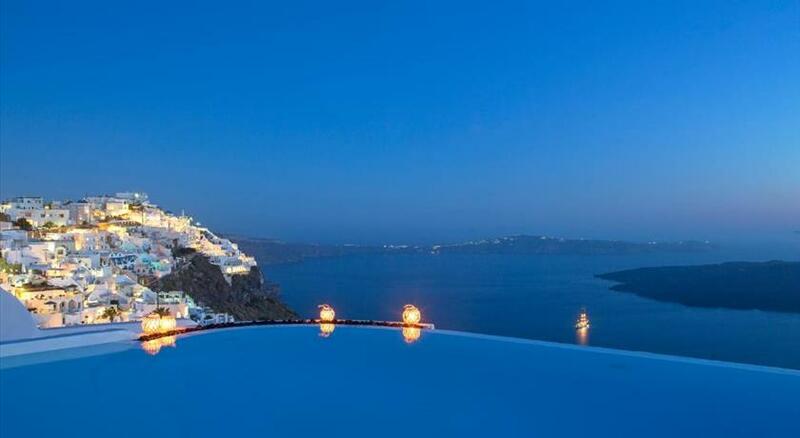 Anteliz rooms are tastefully decorated in accordance with the Santorini an architecture. Each features all-white marble floors and bathrooms. They are fitted with air conditioning, a safe and minibar. Modern touches include free Wi-Fi, flat-screen TV and iPod docking station. Hotel staff is at your disposal for restaurant reservations, car rental, wine tasting tours, boat trips to the Volcano or massage treatments. Anteliz is a 5-minute walk from Fira’s nightlife . 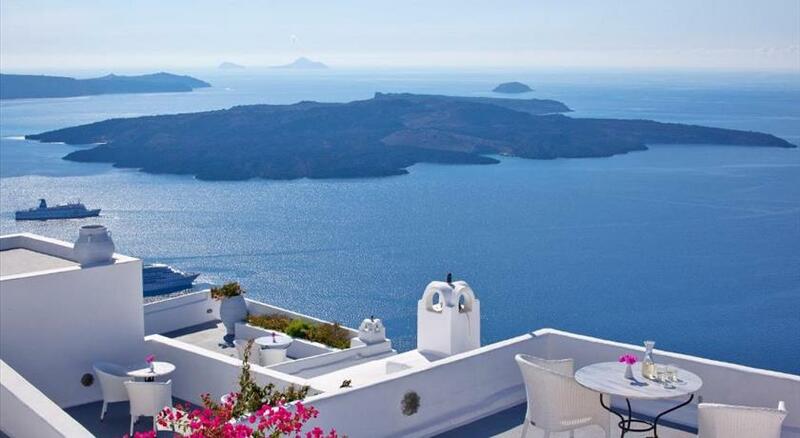 Santorini International Airport is a 15-minute drive, while Athinios Port is reached after 20 minutes’ drive. Free public parking is available close by. Taken from a drone fly over that shows the hotel from above. 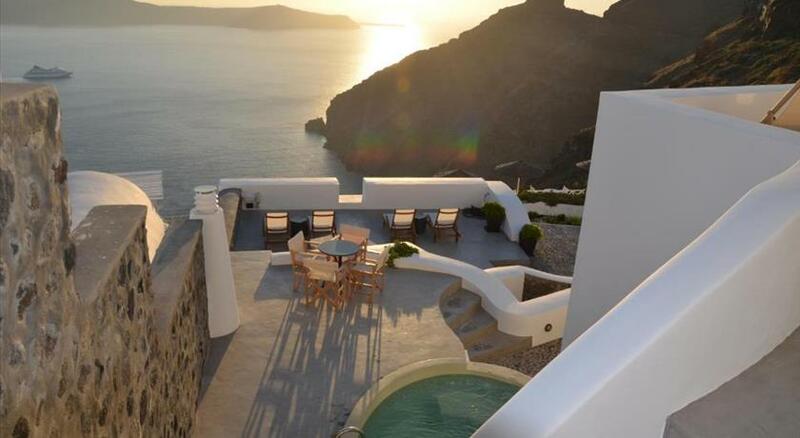 Anteliz Suites is located in Firostefani's caldera. Children older than 15 years are welcome. Children's cots/cribs are not available. There is no capacity for extra beds in the room.